Blog: SEPA’S new licensing requirements: Is your construction site compliant? Are you involved in a construction project? If so, are you fully aware of the changes to SEPA’s Controlled Activities Regulations which came into effect in September? 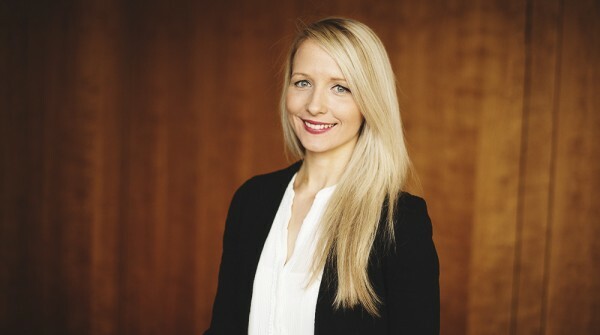 Burness Paull’s Kate Primrose outlines what is required. The updated Controlled Activities Regulations (“CAR”) aim to reduce the risks of pollution to the water environment from construction sites by ensuring that discharges of water run-off from construction sites to the water environment do not cause pollution. All construction sites must comply with the regulations but a CAR licence is now required for all new construction projects of a certain size. Failure to obtain or comply with a CAR licence could have significant consequences. What construction works are affected? The regulations apply to any construction sites including housing developments, commercial/industrial developments, wind farms, roads and infrastructure works, pipelines, hydro power schemes etc. as well as any land preparation works, demolition works and ground remediation works. The only exception is that the regulations do not apply to sites with water run off that drains to the public sewer system (in which case agreement from Scottish Water is required). What is required and when does this come into force? submitted a pollution prevention plan for the construction site to SEPA for review / approval. SEPA has detailed guidance about what is to be included in the pollution prevention plan and the plan can be submitted to SEPA at the same time as the application for the CAR licence. It may take SEPA up to 4 months to determine whether to issue a CAR licence and to review and agree the pollution prevention plan. The pollution prevention plan can be varied at a later date and must be complied with as a condition to the CAR licence. The cost of obtaining a CAR licence depends on the size of the construction activity. For more information, refer to SEPA’s website which details the application process / fees. The CAR licence is to be applied for by a “Responsible Person”, being the person/organisation responsible for securing compliance with the licence. Given the CAR licence has to be applied for in advance of the works commencing, the licence can be transferred to the relevant party overseeing the construction works on site at a later date (once this party is known). Once the works have been completed, the licence is to be surrendered. What if works commenced prior to 1 September 2018? If works on a construction site commenced prior to 1 September 2018, the works can continue without having a CAR licence or pollution prevention plan. However, water run-off from the site must not cause pollution to the water environment. If the construction work continues for any significant period of time after 1 September 2018, it will be necessary to submit a CAR licence application and pollution prevention plan to SEPA for review as soon as possible. You should contact SEPA to seek advice on what steps you may require to take. What if happens if the regulations are not complied with? It is an offence to fail to comply with or contravene these requirements and SEPA have a wide range of enforcement powers including warning letters, civil court actions, fixed monetary penalties and, in the case of serious offences, referral for to the Crown Office and Procurator Fiscal for consideration of criminal prosecution.